Crystal skulls intensify and amplify the power of intention, and hold the specific frequency and vibration of a desired outcome. 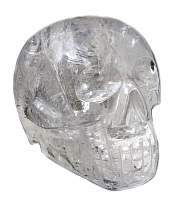 Stone skulls carved out of gem stones and minerals can aid with specific issues. Stone skulls are a symbol of the end of a cycle, this works with the energetic properties of a crystal to help it work as a filter of sorts, helping to end bad habits, emotional negativity, and other things to start a new beginning. 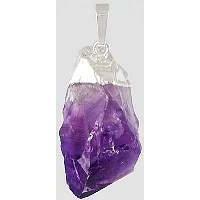 The energy of a piece of crystal is changed by being carved into this shape but it is always a positive energy. Skulls are a powerful tool to aid healing and can have a strong effect on your spiritual growth. Gemstone skulls are wonderful for meditation and can be a powerful way to use them or use them as part of a crystal grid and is a great way to utilize your collection.